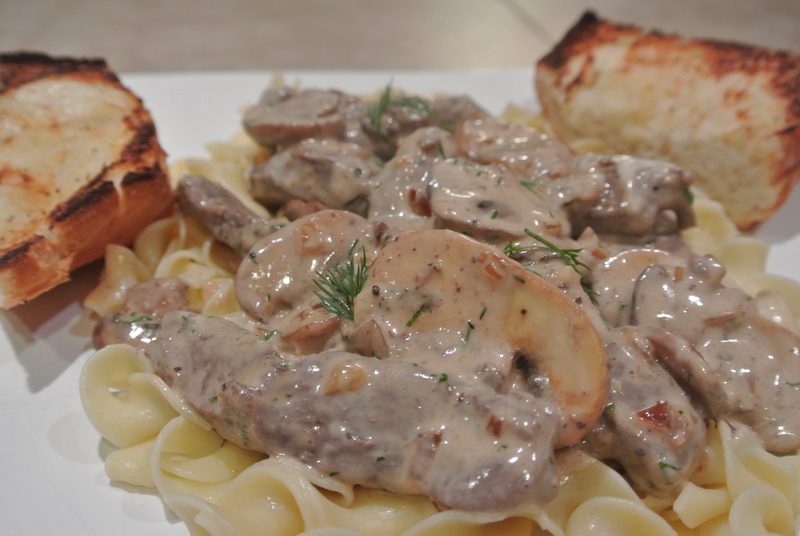 If you asked my oldest daughter Megan what one of my favorite dishes I love to eat about twice a year, without a doubt it would be the German Stroganoff. I just texted her at college and she nailed it. If it is made correctly, it is one of my good ole comfort food go to dishes. I am going to give you a few tricks of the trade on this one, especially for those of you that do not like the taste of venison. I take back strap and soak it in buttermilk over night. It takes the gamey taste out, but more importantly it makes the meat a little more moist. Soak over night, then gently wash off under water and let your meat come to room temperature. 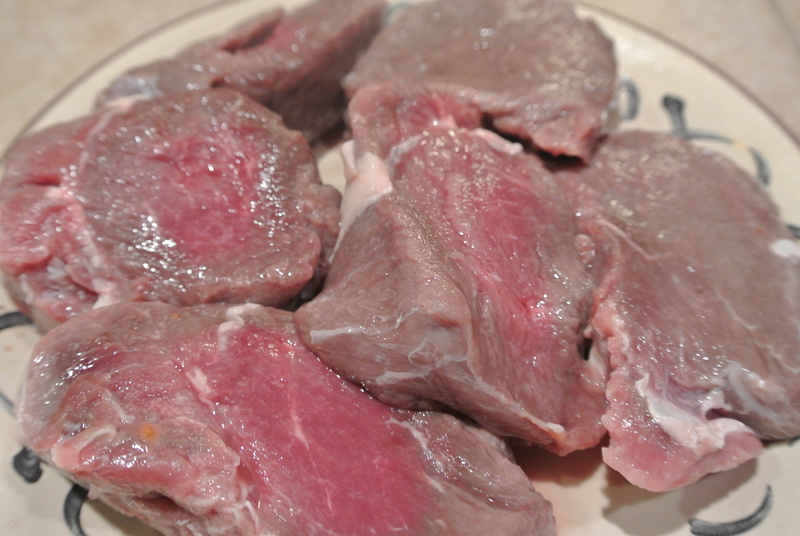 Cut all the fat off the venison, then add a dash of salt and pepper and dash of Worcestershire sauce on each venison medallion and let sit at room temperature. While you get your materials below in order. 1.5 pounds of venison steaks, I prefer backstrap, cut into 1/4 inch strips. 1/2 lb of sliced of white, or shitake, or my favorite morels. If you are not a mushroom fan, you can reduce to 1/4 of each. 1 pound of wide egg noodles. Venison, cooks very fast, so begin with getting your water ready for the noodles, bring to a boil and add salt and noodles, takes about 8 minutes. Bring another pan to high heat and add the butter, when it begins frothing. Add the venison, do not over crowd the pan. Sear both sides until brown. Sear on high heat over butter. 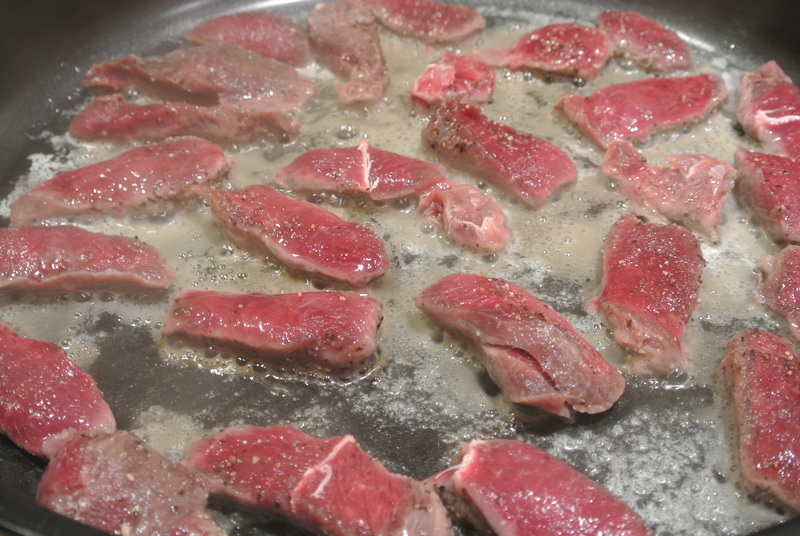 This only takes about 2 minutes on each side, remove venison so it does not over cook and keep on plate. Do not over cook the venison, just get all the red out of the middle, a nice sear. 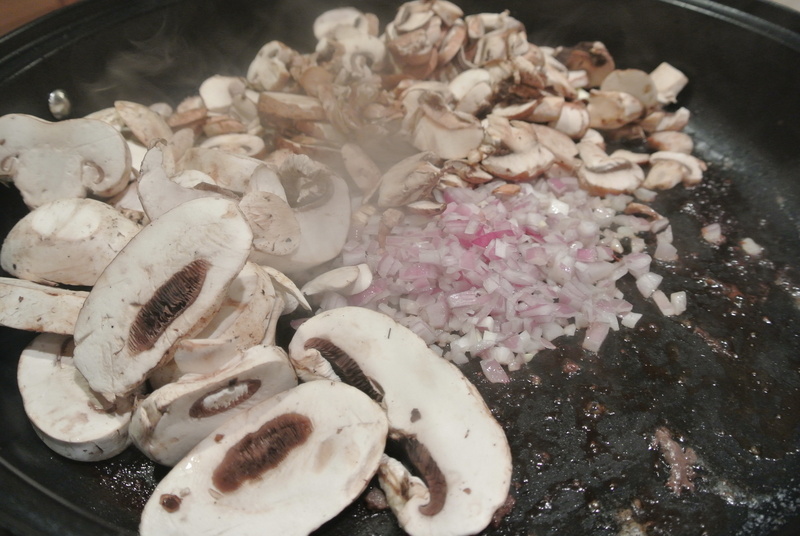 Once all the venison is cooked and removed, add the shallots, chopped garlic, and mushrooms to the same dish without removing any of the juices from the meat. Add one more tablespoon of butter to the pan as well. add the ingredients to the pan, add a tablespoon of butter. 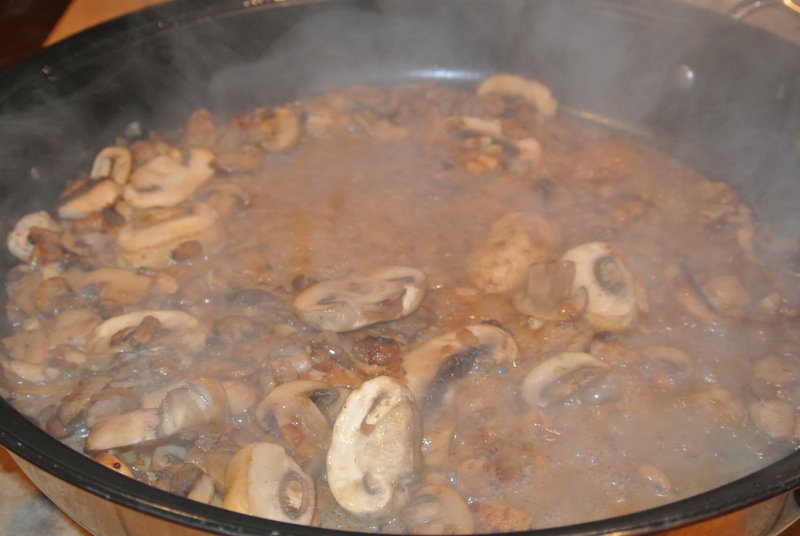 This takes about 4 minutes, but cook until the mushrooms are brown on high heat. Add Cayenne and Nutmeg and a couple of dashes of sea salt. A steamy picture with Madera added to the dish. Add the Madera and watch the flame and eyebrows. Let it boil and once the Madera is mostly gone reduce heat to low. Add the venison you put aside to the dish with all the juices, and the fresh dill. Then turn the heat off. This is important because too much heat makes the sour cream curdle. slowly add the sour cream into the dish, and stir. 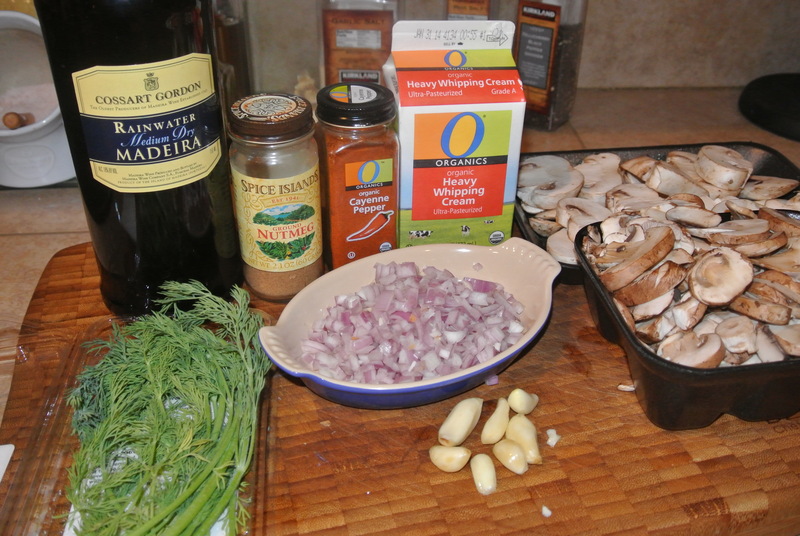 You can add a little heavy cream to the dish if you think you need it, I rarely do though. I drain the noodles, add a little butter and parmesan cheese and stir. Plate the noodles, then spoon stroganoff over the noodles, sprinkle dill over the dish and serve. Serve with a little chopped dill on top and some good bread with garlic butter.  Now here is the pointer from the Hunting Chef. Left overs of this dish are even better the next day. So add noodles to Tupperware, then the remaining meat sauce. Stir with noodles, then add a little cream to bind the noodles. Like a tablespoon for two cups of leftovers. 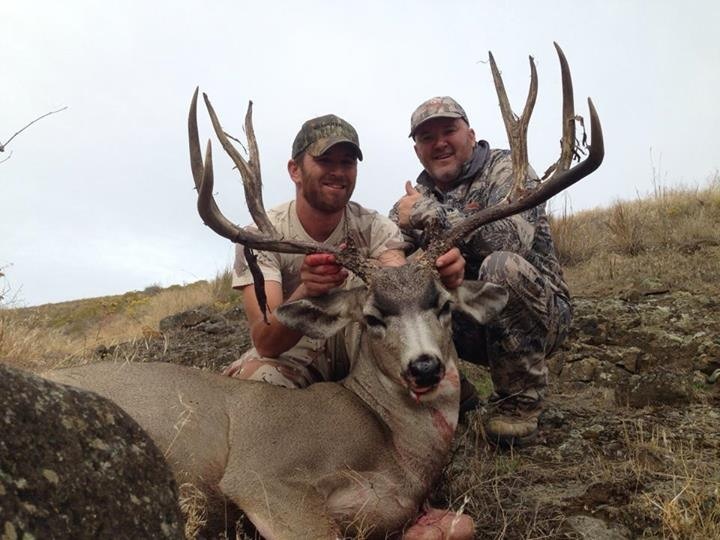 Amazing the next day as well. I hope you try this one, you can use beef if you prefer. 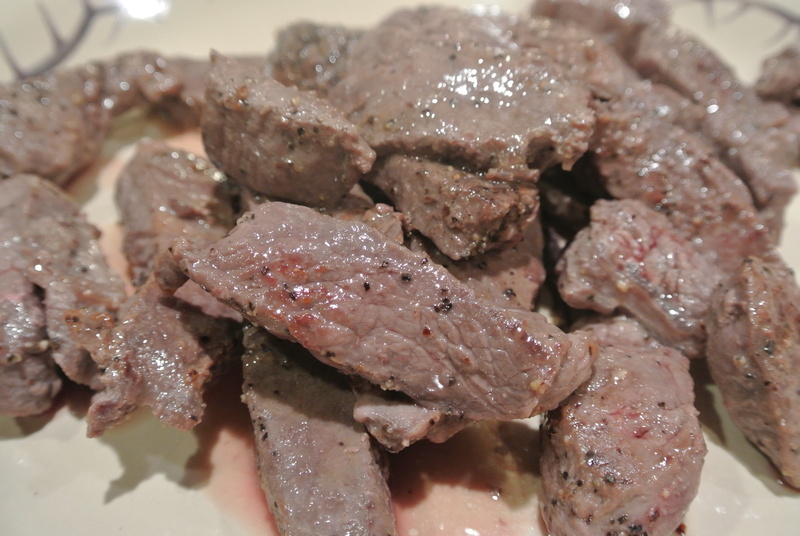 However, elk and deer are my “Go too” meats with this dish. You make this dish, your wife will never ask why you go hunting. Trust me. 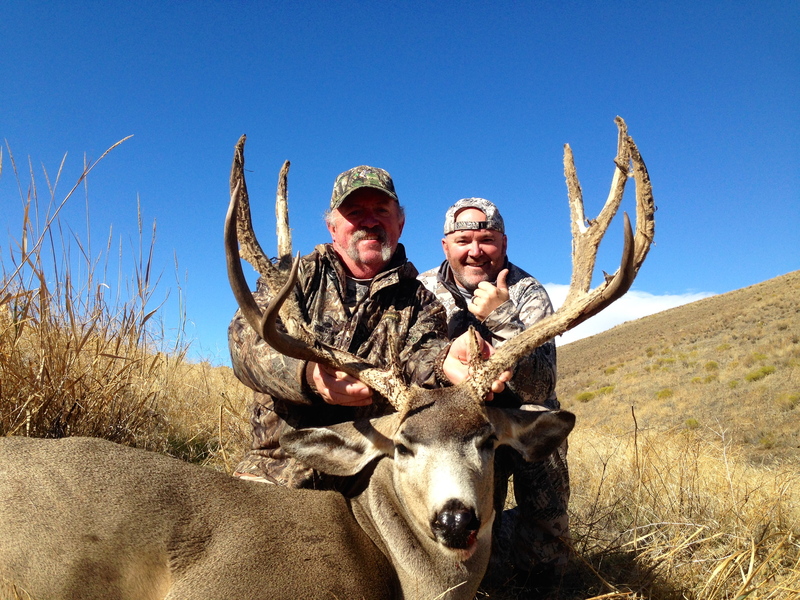 Andy with his 2014 buck, had to sneak around this big boy twice.